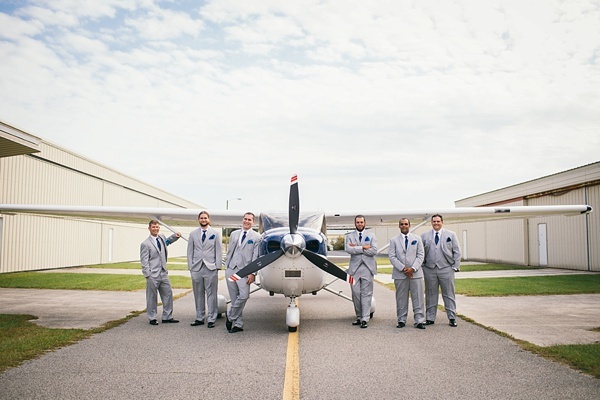 Not only are both the bride and groom Outer Banks locals, Cody is a banner pilot and flight instructor in Manteo while Jenilee is a full-time momma to their baby girl. 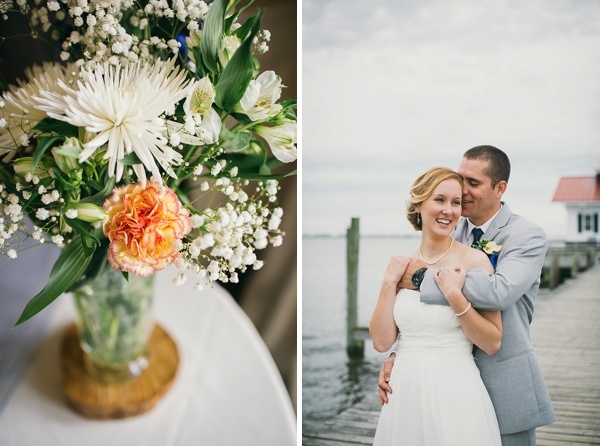 In December 2014, Cody arranged for a trip to up to Hampton Roads under the guise of a "trip to the zoo"... but little did Jenilee know that he had actually instead coordinated with her Dad and sister to go to the jewelry store for her to pick out her own engagement ring! 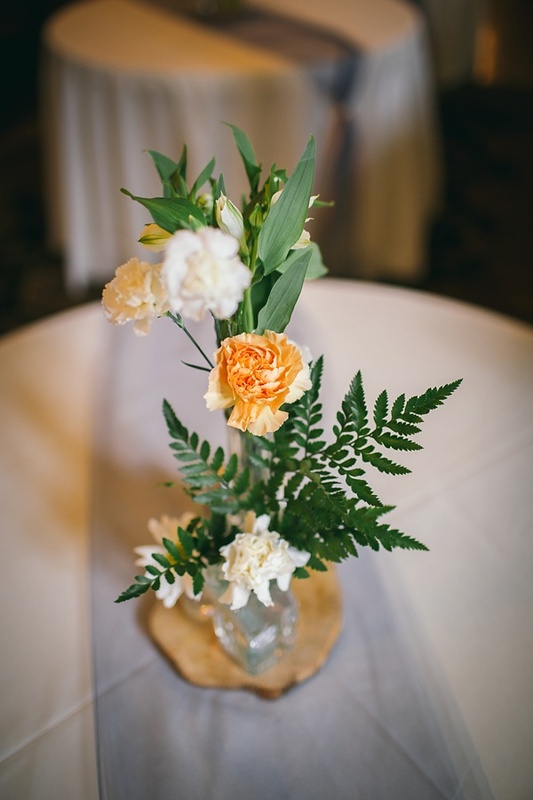 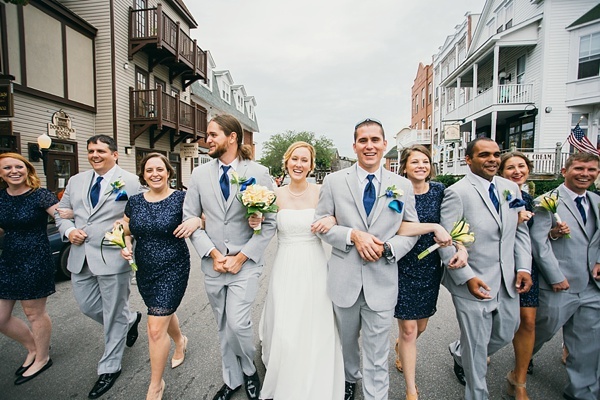 With peach and navy blue as their colors of inspiration, they envisioned a simple country chic theme for their wedding at 108 Budleigh in downtown Manteo. 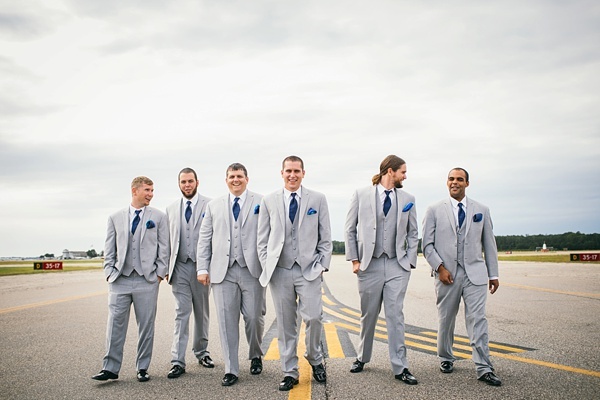 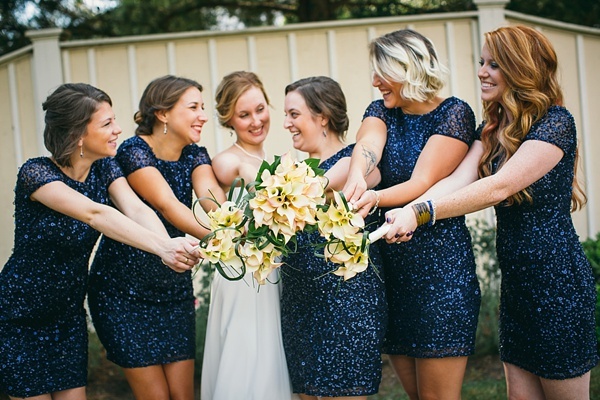 Captured by Sarah D'Ambra Photography, their bridesmaid wore sparkly navy blue sequin dresses and their groomsmen were looking sharp at the Dare County Airport in grey and blue. 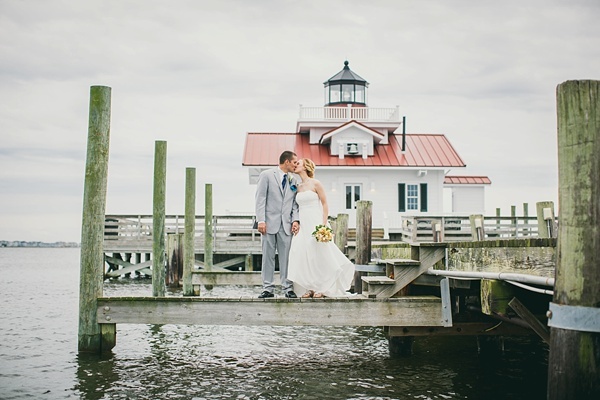 Because of their local roots, it was really important to these two lovebirds to have portraits in all of their favorite spots in Manteo because every corner gave another picturesque moment, especially the Roanoke Marshes Lighthouse. 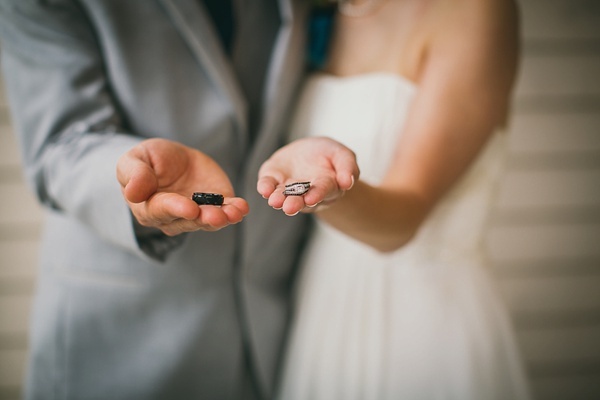 The perfect way to start marriage is in a place where your heart is!